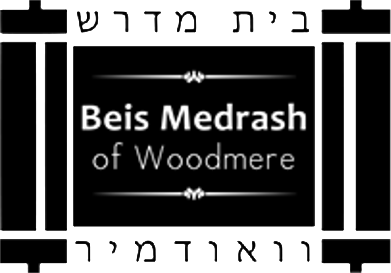 We are now beginning our 2019 membership drive and hope that you will join us in the continued growth of the Beis Medrash of Woodmere. Baruch Hashem, under the leadership of our Morah D'asrah, Rabbi Akiva Willig, we have grown into a shul that is alive with the sounds of Torah and Tefillah every day of the week both in Shul and electronically on WhatsApp. Additionally the Shul is constantly alive with programs for all members of the family. All of this growth has only occurred and can only continue with your help. We therefore turn towards those who share our goals and aspirations, our members, mispallelim and friends. Family membership is $720 per year which includes one men's and one women's seat for the Yomim Noraim. Associate Membership is $360 per year. There is also an opportunity to be listed as a Chai member with a donation of $1,800. Payment plans are also available when paying online. If you are joining as a member for the first time, please fill out the membership form which can be found here.